He'll love this FENDI Boys Grey Wool & Cashmere Monster Logo Cardigan Sweater. Featuring this soft-feel fairisle design, this gorgeous sweater is knitted in a blend of wool and cashmere in shades of green, ivory, blue and red, with an intarsia logo and robot weave. Complete look with a matching grey knitted Monster scarf and hat. Looks great with a pair of Fendi Jeans and Monster slip on sneakers. Also available in a shade of navy blue. 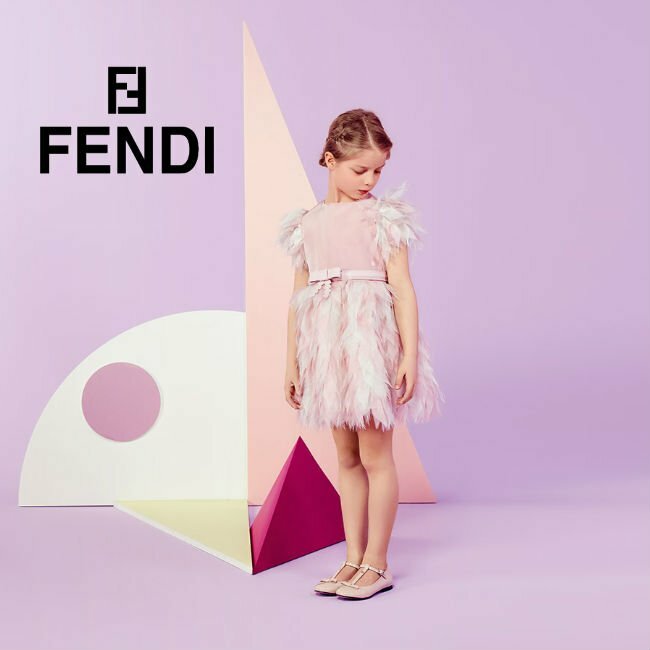 Designed in Italy by Famous Fendi Fashion House and Ships Worldwide.